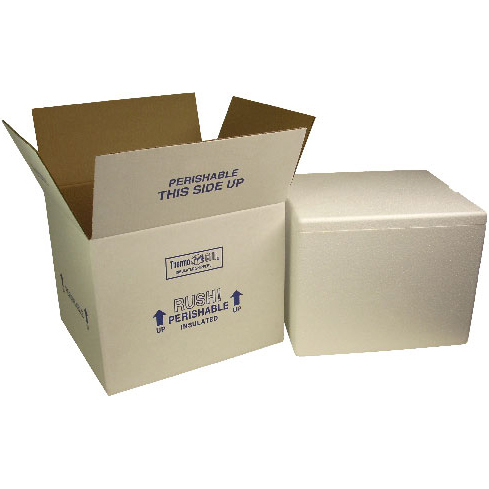 Home > 710-1-14 - Reusable Insulated Styrofoam Shipping Box - 6" x 4-1/2" x 6-1/4"
Safely ship perishables or medical specimens requiring insulation. Ship Chocolates during the summer or anytime of the year! Frequently used for international frozen food transport and fresh ocean products. Great for chocolate, meats, sausages, cheese, as well as seafood, fish, shrimp, lobster, crabs, and more. Add our freezer packs and your shipment will keep its cool longer. If your shipping refrigerated items you'll need quality insulated shipping boxes that are approved by the major shipping carriers. Whether its fresh food or frozen food our insulated shippers will help maintain a constant cool temperature when used with proper amount of frozen gel packs or dry ice. Our insulated shippers are also great for food service or catering operations when hot or cold food has to be transported to remote sites. 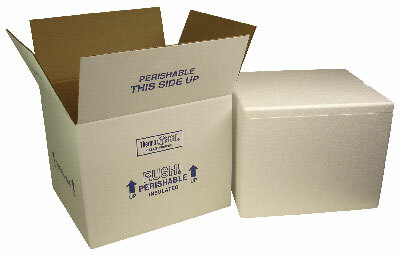 Insulated Styrofoam Shipping Boxes are built tough to last many shipping cycles. 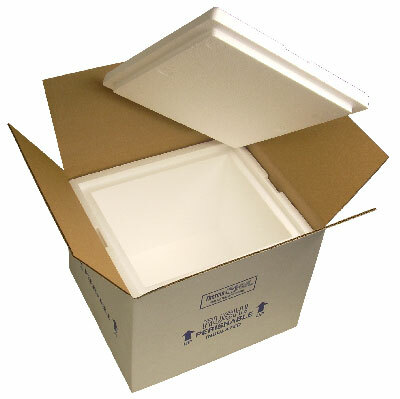 High quality sturdy insulated (Polystyrene)styro-foam shipping boxes are double the protection. Strong 200 Lb. test corrugated box is preassembled around a seamless tight fitting molded polystyrene body with a tight fitting lid that helps maintain a good seal and constant cool temperature inside. Corrugated outer carton is also included. These are the best insulated shipping boxes we have seen yet. Made to take a beating and protect the contents while keeping a constant cool temperature. 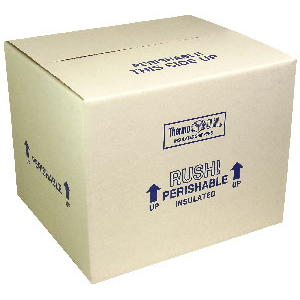 Our insulated styrofoam shipping boxes are produced in the United States of America. All of our boxes meet all industry standards. Transporting food to remote sites. Medical transports, samples and specimens. Critical part shipments that can't be damaged. Dimensions listed are usable dimensions. Size: 6" x 5-3/4" x 7-3/4"